Home is a meditation on all the different places we live. City or country. Splendid or simple. Real or imagined. 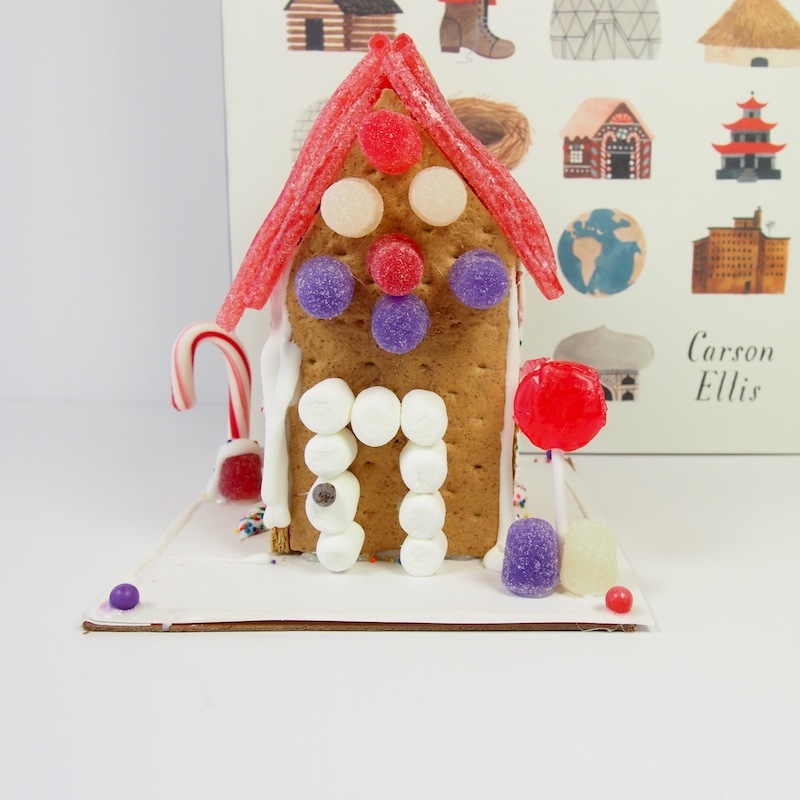 Do you want to make one of the mini homes from the cover of the book? Do you want to dream up your own? We hope so! And we hope these crafts will be inspiration when you do! 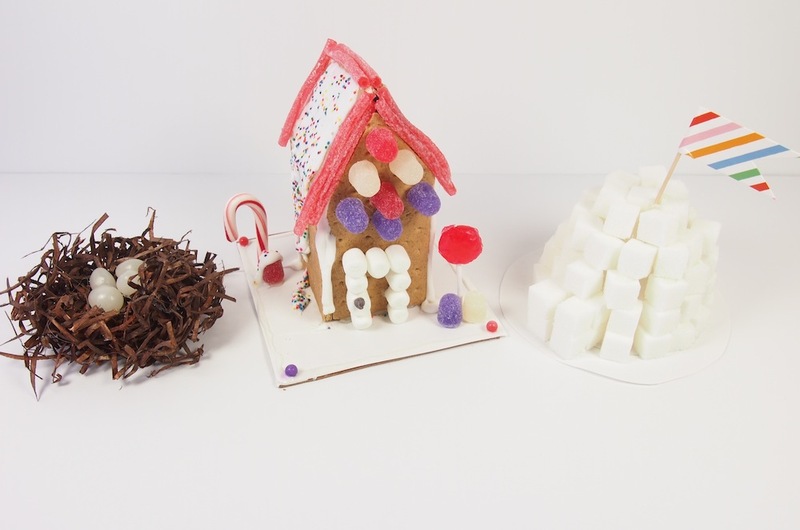 Here are three mini homes I made using sweet ingredients, taking inspiration from Carson Ellis’s imagination. You can spot their counterparts on the cover of the book, all in a row! 1. 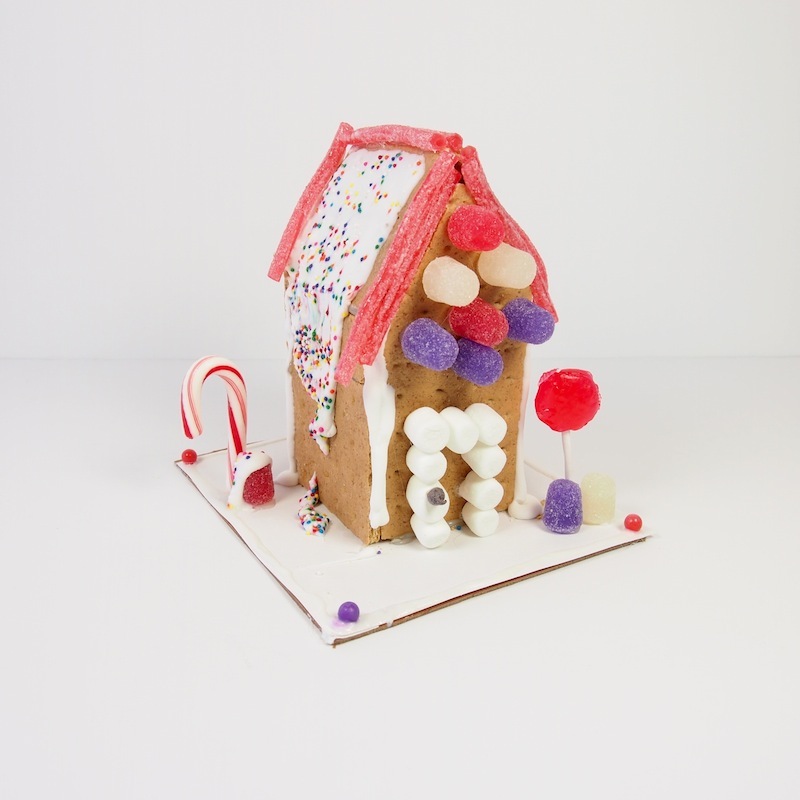 A gingerbread house made from graham crackers, icing, and candies of all kinds. 2. 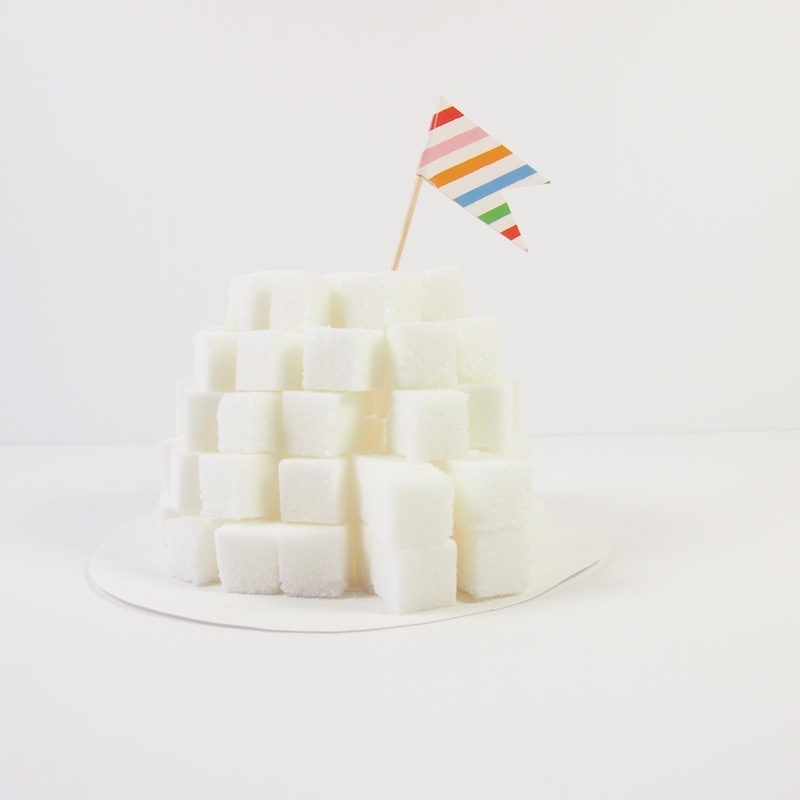 A sugar cube igloo! 3. 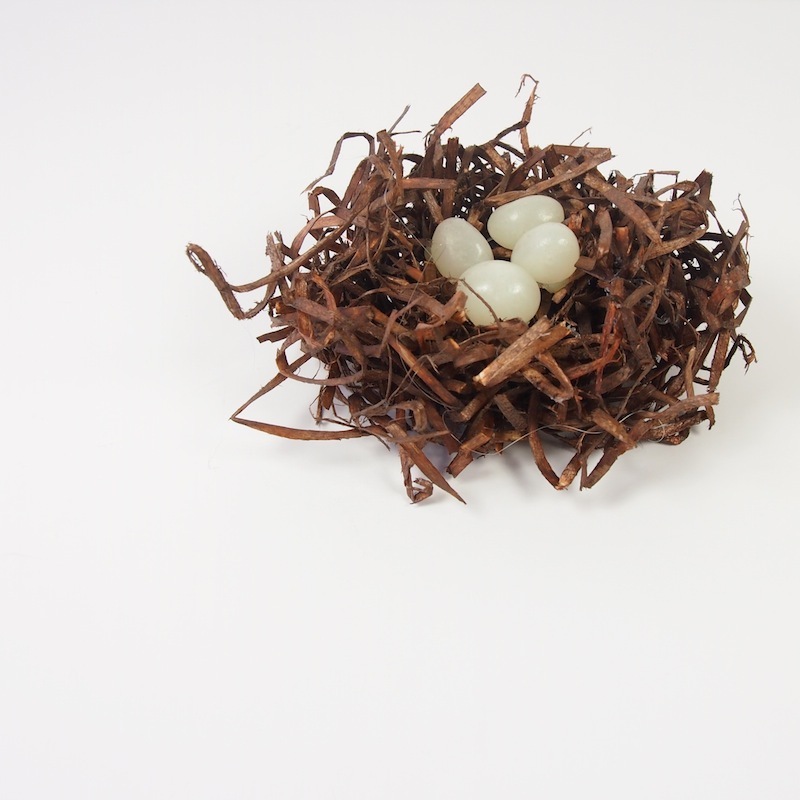 A simple raffia-like nest with three jellybean eggs. What kind of home will you be inspired to make? 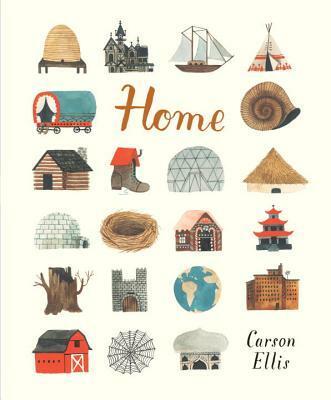 Be sure to check out our ALL THE WONDERS of Home post for much more, including a book trailer and studio tour from Home creator Carson Ellis, a craft, an interview with Carson on the Let’s Get Busy podcast, and a look inside the book.